Konstantin Sterkhov. Lesson 2. 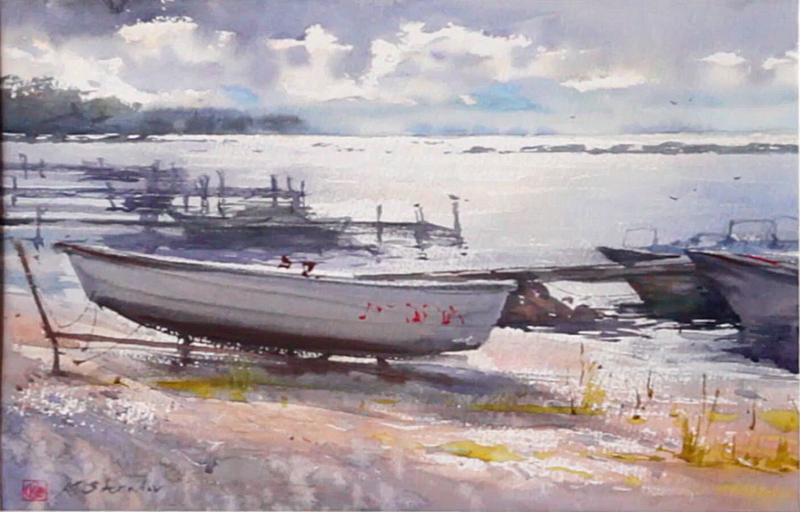 "Afternoon nap"
During the lesson you will be able to see how Konstantin Sterkhov – watercolorist from Saint-Petersburg, Russia, creates beautiful landscape. Participants will have 6 month access to this video. Duration of the lesson is 38 min (including pencil drawing and watercolor painting). Cost of access to the course is 790 RUB (approximately $14). This video-lesson is without Konstantin’s feedback. Konstantin Sterkhov. Lesson 2. Afternoon nap. Konstantin Sterkhov. Lesson 2. Picture.